The Freeman 24 superseded the 23. This model is a complete contrast to rounded curves of the previous models. The design is sporty with rakish lines and the gel-coats were available in brown and cream or white and blue. 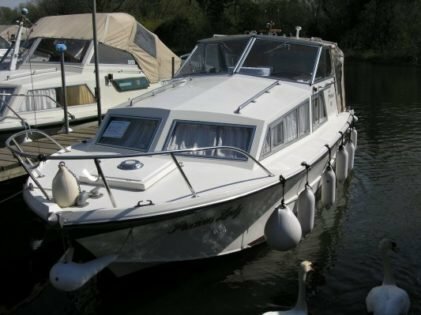 The craft also sports a wheelhouse although some were available in a soft top version. Over 1000 Freeman 24s were built between 1975 and 1983. 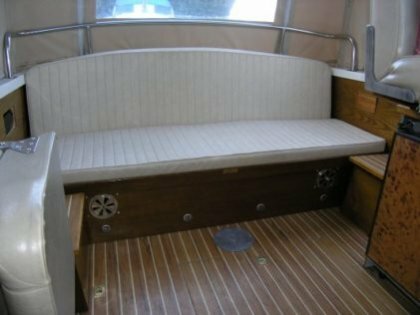 From about 1980 the craft was renamed the Freeman 750 with only slight alterations being made to the interior. 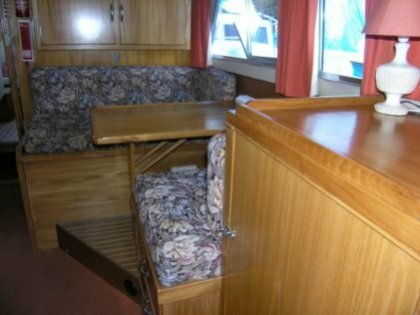 The layout of the Freeman 24 is basically open plan with the toilet compartment and wardrobe separating the 2 single berths in the bow from the saloon area which has a dinette that converts to a double berth and a galley opposite. The Hull shape is medium V,it is primarily a river cruiser but is capable of fair weather coastal use. Most 24 Freemans were fitted with Ford Watermotas from 30 to 63hp, or Perkins 55hp diesels.